always a supply of food nearby. Of course if it's raining, you have to like soggy pretzels. It looks like Paris, it smells like Paris, it tastes like Paris...........but no, it's New York! We hadn't heard of this restaurant, but we were starving and there it was....and there we were.....so in we went. I'm not up on my chefs and cooking and all, but we soon discovered we had chosen well. 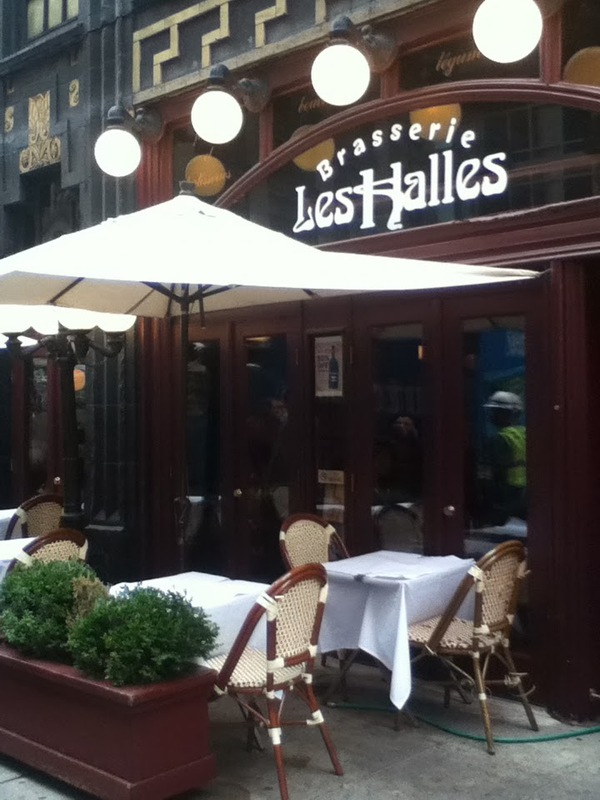 Brasserie Les Halles is the home base of Chef-at-large Anthony Bourdain, author of the best selling Kitchen Confidential (Bloomsbury, May 2000) host of the TV Show, No Reservations. Bourdain is also the co-author of the Brasserie Les Halles Cookbook (Bloomsbury, 2004) with proprietor Philippe Lajaunie. We could pretend we were in Paris or New York, (which of course was easy). 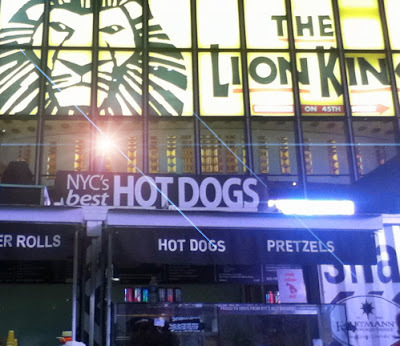 And, they had the BEST fries! 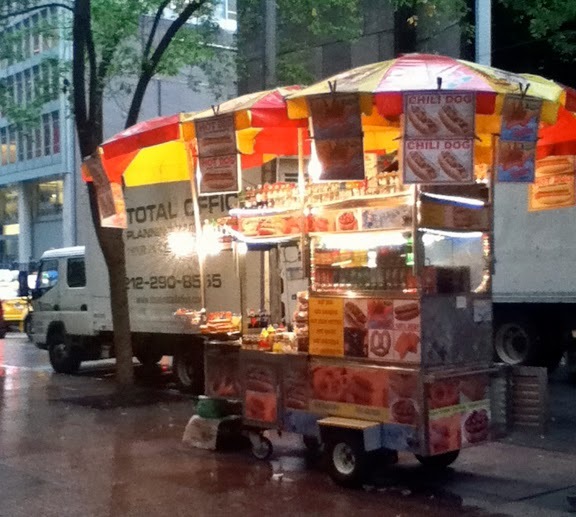 This place has NYC's BEST hot dogs! It's even on the sign! I wanted to go in and congratulate them on their achievement (like in the movie "Elf") but figured they were probably tired of the line. You did it! Congratulations! World's BEST cup of coffee! Great job everybody! Did I mention that I love New York? the rest of the world is. Clean is not enough.